Mumbai : A 43-year-old man, who was attempting a 10-km run at a marathon in Borivli, on Sunday morning has died by heart attack during marathon. The man named Stephen Menezes was an employee with a telecom company in Mumbai. 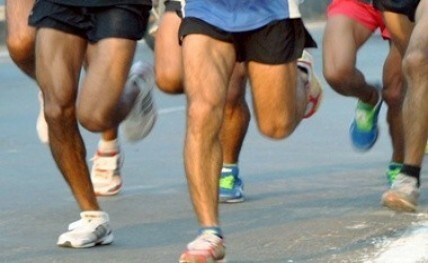 The marathon, 'Run India Run, – 10K challenge,' was organisaed by a city-based group, Mumbai Roadrunners. The man suffered a heart attack and collapsed a few metres from the finish line. He died in hospital. His family has decided to donate his eyes. Menezes, was a chief nodal officer with Airtel, lived at Borivli's IC Colony with wife Evona and three schoolgoing children Laurel, Audrey and Catriel. He had participated in marathons organised by Standard Chartered and Vasai Virar local groups, was a seasoned runner for the past five years, said his friends. Today around 8am, as he was nearing the finish line, he suddenly collapsed. His family members, who were cheering him on the sidelines, rushed to his aid. As they didn't spot an ambulance around, they hired an autorickshaw and took Menezes to Karuna Hospital in Borivli, where he died. His body was later sent for post-mortem to civic-run Bhagwati Hospital in Borivli. "Menezes had a blood pressure problem for the past 10 years," an investigating official said. An autopsy conducted at the Borivli post-mortem centre found that he had died of natural causes. The Borivli police said they will inquire whether sufficient medical aid was provided by the organizers during the marathon. Menezes's death has shocked his family and friends; they said he was a "marathon veteran" who would train regularly. "He had run the Standard Chartered Mumbai Marathon, the Vasai-Virar Marathon as well as the Mayor's Marathon. Some of these were 21km long. He used to even go swimming and jogging to stay fit. We cannot accept that he is no more," said a neighbour.